Behold, the iPhone-Boosted Cycling Computer! 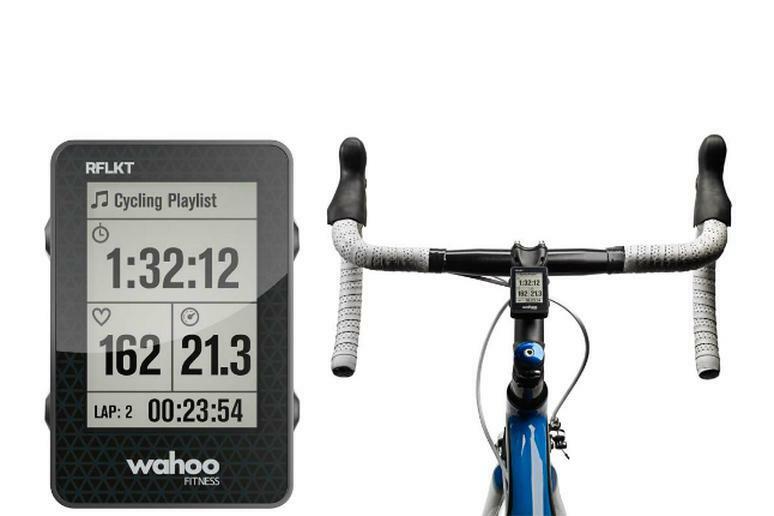 Cyclists looking for a new gadget to help track their rides are going to love the RFLKT from Wahoo Fitness. Like other cycling computers, the RFLKT connects to your handlebars and displays information—speed, distance, time, etc.—about your ride. But unlike most similar devices, the RFLKT connects to an iPhone via Bluetooth, which allows it to do so much more than that. In a sense, the RFLKT actually serves as a second screen for the iPhone, providing data from multiple cycling apps, controlling music, providing GPS functionality and even connecting to the web. It will also offer turn-by-turn directions, lap timers and the ability to connect with heart rate monitors, displaying that information on the fully customizable screen. In short, it is everything you could ask for in a cycling computer with some nice additional features, to boot. And since the two devices are wirelessly connected, you can keep your phone zipped safely away in a jersey pocket at all times. I'm not a big fan of listening to music while riding, but having the ability to control your tunes without taking the phone out is a nice option. If the RFLKT also had integrated caller ID and the ability to see text messages, this would be an almost perfect option. It's definitely intriguing, though, and since it's based on an open platform, I'm sure we'll see some additional features developed for it in the near future. At $129, it's quite affordable, especially given its impressive computing power. There are plenty of cycling computers that cost more without nearly the functionality. This story first appeared on The Adventure Blog. The Best Internship On Earth?